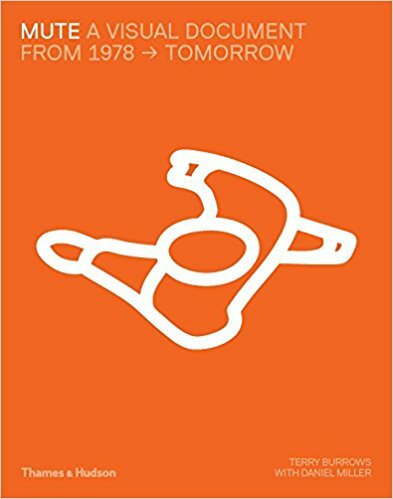 Mute Records announced a book detailing the definitive visual history of the influential label. Mute: A Visual Document: From 1978 - Tomorrow was curated by Mute founder Daniel Miller and London author/musician/producer Terry Burrows. Miller originally founded Mute to release his debut single "Warm Leatherette" but the label soon went on to launch the careers of soon-to-become electro behemoths including Depeche Mode, Yazoo, Erasure, Cabaret Voltaire, Fad Gadget, and Nitzer Ebb. Miller would eventually snag other iconic acts including The Birthday Party, Nick Cave & The Bad Seeds, and I Start Counting plus he obtained rights to archival material from other well established artists including Throbbing Gristle, Einstürzende Neubauten, A Certain Ratio, and more. The 320 page hardcover book includes over 500 illustrations - many of these previously unseen - plus the book is filled with commentary and stories from various Mute bands and those who worked with the label over the years. Mute: A Visual Document: From 1978 - Tomorrow will be released November 28th and is available to pre-order now from Amazon.